Food preservation is something that has been practiced since ages, in Egyptian times people used oil, salt and sugar to preserve food. The history of food preservation is as old as humanities. Prehistoric people preserved meat by the help of salt and oil. Men utilized nature to preserve food; in winters prehistoric men used ice as a preservation tool and in summer he used sun to preserve food by drying. Men learned that he can use certain ingredients to stop the process of spoilage in food and food can be used for long time. Today there are synthetic chemicals that have been developed in the laboratory especially for the purpose of food preservation. It is evident that the use of food preservatives has increased manifolds because today there are millions of foods that are preserved. The principles of food preservation are similar as they were in old ages but the kind of food preservatives used have been changed. Synthetic food preservatives are inexpensive and they are widely available but there are certain health concerns associated with synthetic food preservatives. There are plenty of foods preservatives in nature and one can use according to the need. Oil is a natural food preservative as it can be used in several foods to preserve. Oil has an ability to stop the moisture from entering the food and thus it acts as a barrier for moisture. It is a natural antioxidant that stops the process of oxidation. Oil forms a layer on the surface of the food and as the nature of the oil is oleophilic you do not need to worry about the oxidation of food. In pickling oil plays a vital role as pickles have to have a shelf life of several years. Sugar is another very powerful naturally occurring preservative. Sugar locks the moisture in the food thus making it impossible for the food to spoil. Sugar is added in the canned foods to preserve them for long. Salt is a natural antioxidant and it also traps the water content in the food. Salt is added in the pickled food to stop the process of spoilage in it. Many of the dried vegetables are stored after applying sufficient amount of salt. When salt is applied to apple it does not get brown even after cutting; what happens salt is an antioxidant and it stops the oxygen from reacting with the food. Oxidation does not occur if salt has been applied to food. Vinegar and all other citric juices can be used as an antioxidant as a preservative. Vinegar has been in use since antiquity. Vinegar results from the fermentation of different food like apple, grapes or dates. Spices like red chilies, rosemary, thyme and oregano are great preservatives. Spices also contains antioxidants that help in preventing food oxidation. Drying is the most commonly used method of food preservation. 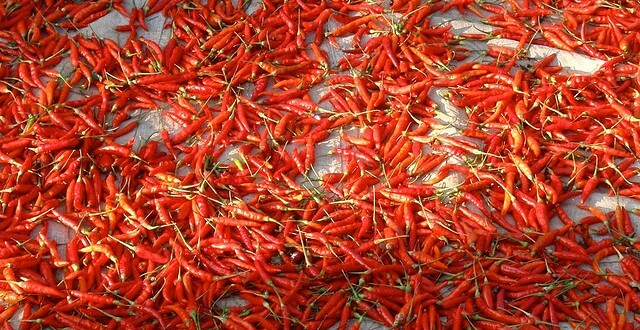 In houses vegetables, fruits and meat is dried to use it for long time. Drying is also done in industries to obtain dried and packaged food. Fruits are dried in sun to obtain dried fruits and nuts. Drying is thus an inexpensive method of food preservation. Canning is done majorly in industries rather than at home. Canning requires the use of salt or sugar to stop the process of spoilage in food. Today there are various chemicals that have replaced the natural food preservatives and most of the industries use these chemicals. Salt and sugar is still added to protect the fruit or vegetable from spoilage. Freezing can preserve the food for varied time and it depends on the type and kind of fruit, vegetable, grains or meat that has to be preserved. Freezing does not require the use of food preservatives but sometimes preservatives are used if the purpose of freezing is to keep the food fresh for very long time. Pickling is an oldest method of food preservation and it was practiced even in antiquity. Pickles are prepared of any fruit or vegetable but salt and oil is used to preserve the fruit or vegetable in it. Vinegar can also be used instead of oil to pickle the food and vinegar is as good preservative as oil and salt. im just asking if i can make lumapinag bangus what is the best way to preserve my lumpia using natural preservative? Lumpias are egg roll wrappers, so you can preserve them in your refrigerator like any other wraps can be. The best way is to apply some dry flour on both sides of the wrappers and place cookie sheet between each wrap. Lastly, lay all of them in a zip lock bag. Do not try to twist or roll them as they will get broken. Whenever you have to make a lumapinag bangus, defrost the wrappers by simply keeping them on the kitchen counter for some time. what is the best natural preservatives for longganisa? Thank you. please how do I preserve juice extracted from fresh spinach using vinegar? The ratio of spinach juice to vinegar can be 1 cup spinach juice to 1 tsp vinegar, but it will only preserve it for a short time. To preserve spinach or spinach juice for a long time, while retaining its nutrients, you should better freeze the leftover spinach juice or you can either freeze the spinach in cubes. When you want to make spinach juice or smoothie you just have to defrost the amount that you want. What are the example of commercially sold food products that make use of salt,sugar and vinegar as a preservative ?